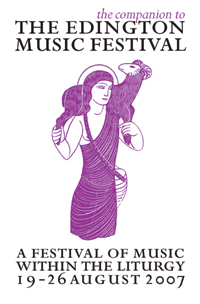 Welcome to the 2007 Edington Festival of Music within the Liturgy. I hope the festival will be an opportunity for inspiration and re-creation, for renewed acquaintances and new friendships. Last year, we focused on Jesus’s ‘I AM’ teachings and I wanted to continue this didactic element further this year through the parables. It is easy to think of parables as somehow watered-down theology, but I feel that they are, in fact, at the heart of Jesus’s engagement with us as Christians. It is interesting to consider, too, the effect of the parables on those in the Gospels, both Jesus’s own disciples and those who might be described as ‘on-lookers’. Indeed, the impact of such well-known stories should not be under-estimated: try to imagine hearing for the very first time the Good Samaritan and really take in the implications of the censure of those who ought to help and do not, and the challenge to ‘Go and do likewise’ (Luke 10: 37). Once again, through the generosity of the Festival Association, we have been able to commission a new work for this year’s festival. Grayston Ives has had connections with Edington for many years as composer and participant, particularly in the 1970s, and I am delighted that he has written a short anthem for the Nave Choir (setting a beautiful text by Charles Wesley) Come, Holy Ghost, our hearts inspire. It will receive its first performance on Thursday and will feature at the start of the BBC broadcast. As many of you will be aware, this year sees a number of significant anniversaries: the 300th anniversary of the birth of Charles Wesley; the 150th and 450th anniversaries of the birth of Edward Elgar and Thomas Morley respectively, and the 300th anniversary of the death of Dietrich Buxtehude. The choice of repertoire through the week reflects this within the context of a varied and liturgically-aware selection of music. Our usual Wednesday and Thursday services have changed places this year in order to accommodate the changes in the BBC radio schedules for Choral Evensong. This will be recorded ‘as live’ on the Thursday afternoon and is scheduled for transmission on the final Sunday afternoon as we all travel home. Consequently the Sequence of Music and Readings (sung by Consort and Schola alone) will happen on Wednesday evening. It is perhaps unfair to highlight individual pieces for particular attention, but I am very pleased that we have been able to include a couple of works by our new Nave Choir director, Matthew Martin, whose compositions have been so well-received in previous years: movements from his Mass will be sung on Thursday, and his anthem Vidi aquam features in the final Sunday Eucharist. Furthermore, while mentioning Matthew I must also pay tribute to his predecessor, Robert Quinney, and thank him for his superb contribution to the festival over many years, first as organist and then directing the Nave Choir. 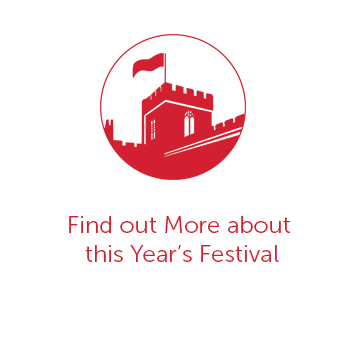 As always, the spoken word will be central to the festival too, and I am very pleased that we have such an experienced and talented clergy team leading our worship. In addition, we will be welcoming the Very Reverend Victor Stock, Dean of Guildford Cathedral, as our guest preacher on Thursday morning. There are many people that I need to thank for their invaluable assistance throughout the year and during the week itself, in particular Peter Roberts and Becky Minogue our administrators, choir directors Andrew Carwood, Matthew Martin and Jeremy Summerly, and organists Ashley Grote and Chris Totney. Obviously, much of the work of preparation goes on behind the scenes and I would like to pay tribute especially to Nick Flower, John Barnard, Christine Laslett, Joanna Robertson, Robin Wilson, John d’Arcy, Allan Edwards and Reverend Dr Graham Southgate for all they to do ensure the festival is such a special occasion. 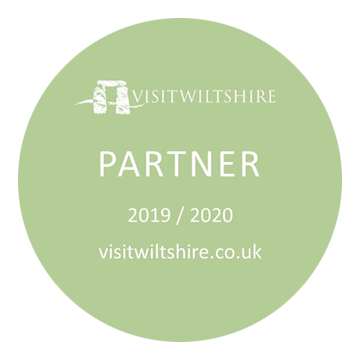 Finally, a special thank you to the whole church community and the villagers of Edington and the surrounding area, without whose support and warm welcome the festival could not possibly happen.